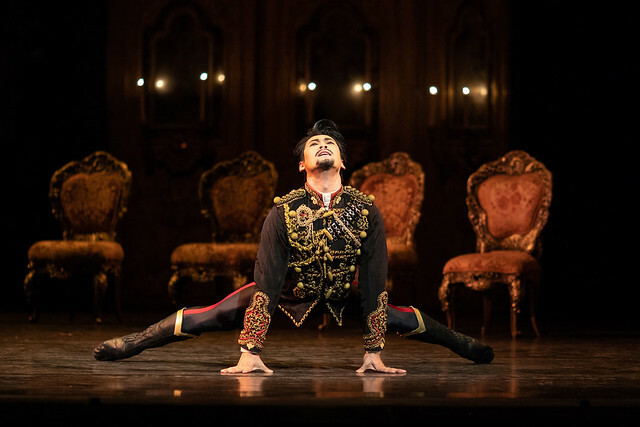 Your Reaction: What did you think of The Royal Ballet's Mayerling? Audience and press reviews of the Company's 2018/19 Season opener. #ROHmayerling Ryo's cautiously slow burning Rudy finally made its point in Act 3. Major points for his courageous partnering of hell-bent-on-destruction Osipova. Have we become overly used to Watson's very modern #ROHmayerling? Super-sub Hirano danced the role more princely and reserved (truer historically) and, with gutsy partnering, had wonderful chemistry with Osipova, a wickedly deviant Mary. A more human Rudolf. My highlight of #ROHMayerling was the PDD between Hayward and Hirano at the end of Act One. Absolutely electrifying. Also very excited by Corrales’ very special debut as lead Hungarian Officer. Well, Mayerling continues to be the most dramatic thing to ever be seen on a stage! What did you think of Mayerling? Mayerling runs until 30 October 2018. Tickets are still available. The production will be relayed live to cinemas on 15 October. Find your nearest cinema and sign up to our mailing list. The production is staged with generous philanthropic support from Julia and Hans Rausing, Sir Lloyd and Lady Dorfman, John and Susan Burns, The Gerald Ronson Family Foundation, The Royal Opera House Endowment Fund and an anonymous donor. There were specific "mad" scenes where the vision of Ed made Ryo look a little tame but in the PdD he was anything but tame. Coupled with Natalia they made a hot pairing with the most incredible lifts. It could only end with a gunshot..... or a bucket of cold water! I saw the dress rehearsal and was a bit underwhelmed after last year’s wonderful performance with McRea as the lead. For me Lauren Cuthbertson’s beautifully fluid dancing stole the show. I agree. Dress rehearsal was fabulous, but feel after seeing him twice (from choice) that Steven McRae made this role his own last year. Wishing him well in his reprisal of the role. I had a great night last night watching Stephen McRae and Sarah Lamb give us a spectacular Act 3 which was both moving and compelling. I would also single out Meghan Grace Hinkis' Stephanie whose pas de deux with McRae at the end of Act 1 was disturbing and frankly brutal. There is nothing pretty about McRae's portrayal of Rudolf. Laura Morera was suitably malevolent as Countess Larisch and Mayara Magri's debut as Mitzi Kaspar was easy on the eye. However, I really missed Zenaida as Empress Elisabeth (nobody can do it better!). Mayerling is surely the most dramatically complex ballet around and it still has the power to compel after many viewings. Agree. The pas de deux of Rudolf and Stephanie is an extraordinary scene, and McRae and Hinkis were exemplary. This more than any other scene evokes the pathos and terror of mental illness. Agree; fabulous performances. McRae and Hinkis the extraordinary scene: the incontrovertible terror of confronting, engaging with, and combatting mental illness. Can't understand why the cast changes (fairly major) are not showing on your website as they are for other ballets. McRae & Princess Stephanie Hinkis superb! Ryoichi Hirano and Sarah Lamb were very impressive. Very intelligent and believable performances. I have seen Mayerling several times. The progression in the characters from Act I to Act III was so credible. Thanks to both of them. Why were major cast changes and the recent Mayerling Insights Livestream not considered newsworthy? Previously, I would have found details of both under "news". Now I have to rely on other websites for such information. This is not serving your audience. Thanks for your comment. Principal cast changes are now served via email communication to bookers. We've made this change to ensure that all bookers are made aware of such changes, rather than just those who visit these pages. Amazing debut from Matthew Ball as Prince Rudolf this afternoon - he really lived the role. He is a great talent & still so young. The whole performance built to a shattering conclusion - the last pas de deux with Melissa Hamilton was incredibly moving. Bravo! Just seen Mayerling for the first time. Incredible ballet. I was open mouthed for much of it, on the edge of my seat. The whole cast was fantastic but Matthew Ball and Melissa Hamilton were beyond brilliant - and someone told me it was the first time he’d done it and he only had a couple of weeks to prepare. Many congratulations to both of them. Mesmerising performance yesterday with Matt Ball and Melissa Hamilton. I was blown away by Hamilton’s daring performance where she rid the shackles of her persona and embodied her character to the full. Possibly one of the best performances I have seen to date. How she is not principle with all her beauty and elegance is beyond me. Surely one of the finest BRITISH ballet dancers in the company... Matt Balls debut was equally as fantastic and the two of them make an unstoppable partnership for future ballets - I look forward to seeing more of them. Hopefully other people share my view. Congratulations all round for the show. I want to celebrate the amazing performance Matthew Ball gave as Prince Rudolf and thank him. WOW! Contrary to information provided by or via the ROH website, Mayerling will NOT be shown in Apt, Vaucluse, France. The cinema in question did not even know it was available in the Royal Ballet Live bundle for 2018-2019. The dancing was amazing, the costumes great, but the staging is outdated. Too many scenes fragmented the story-telling and the shooting scene was badly old-fashioned. So disappointing. I don't agree and, even if it were true, what do you expect to change as Macmillan has been dead for over 10 years? I saw the 13th October matinee with Ball and Hamilton and ...WOW ! Ball made an astonishing debut - hard to believe it was his first outing. Hamilton gave a stunningly unique portrayal of Mary. Breathtakingly touching in a role that can so easily become a crazed vamp in the wrong shoes. The sense of danger in their pas de deux and glorious abandonment in Hamilton's dancing gave for a passionate and electric performance. Simply thrilling ! More of this partnership please ! Just got back from cinema screening and luckily have a ticket for Saturday night . So looking forward to seeing Matthew Ball and Melissa Hamilton. Can't wait! Bravo ROH for another fabulous evening. 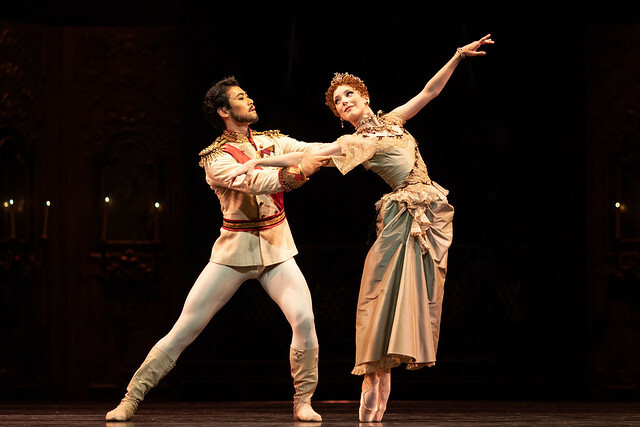 Live cine performance tonight of Mayerling with Steven McRae and Sarah Lamb.....what a magnificent performance, ultra sensual, dramatic choreography, wonderful orchestral music by Franz Liszt. The pas de deux pieces were mesmerising, rehearsed to perfection. A truly wonderful performance, I congratulate you ALL at The Royal Ballet, thank you. Saw the cinema broadcast last evening and Stephen McRea has definitely made role of the Prince his own . The PdD in final act with Sarah Lamb is unsurpassable. Fantastic choreography, amazing costumes and great production! We went to the pre performance talk that was really interesting! It's great to see a ballet based on a true story.